Come to this restaurant to have a meal if you are hungry after gazing at Obchodna (ulica) Street. The varied menu based on Vegetarian cuisine is what you are offered at Balans Bistro. 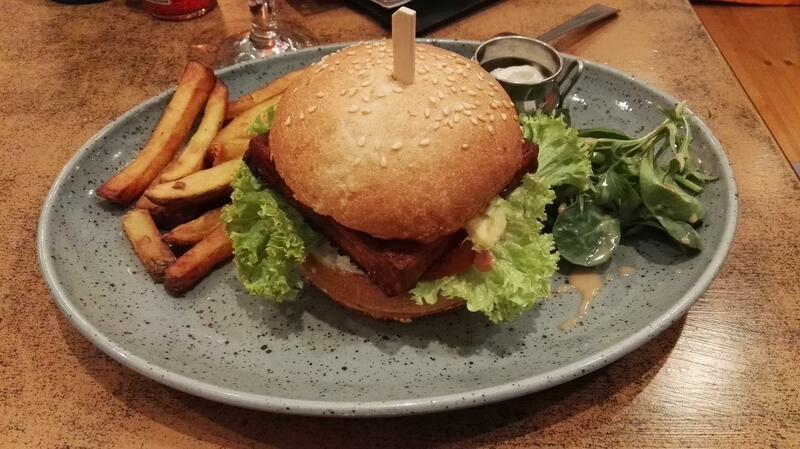 Order tasty mexican burgers, soup and vegan burgers. It's a must to try delicious beer, ale or wine while coming to this place. As a number of guests state, lemonade is really good. The well-trained staff shows a high level of quality at this spot. Fabulous service is something visitors agree upon here. Prices at this restaurant claim to be adequate. It's a good place with the cozy atmosphere. Balans Bistro received 4.5 on TripAdvisor. A vegan comfort food bistro. Not that many choices, but the food tastes great. Good variety of local craft beers! Fast and nice service with a smile. Hoisin bowl was great, winter burger could have had beans instead of seitan. Apart from that all good.